We’ve all seen the pictures of the super organised pantry full of delightful spices, and ingredients we could only ever dream of pronouncing, and probably thought it was way out of our league. 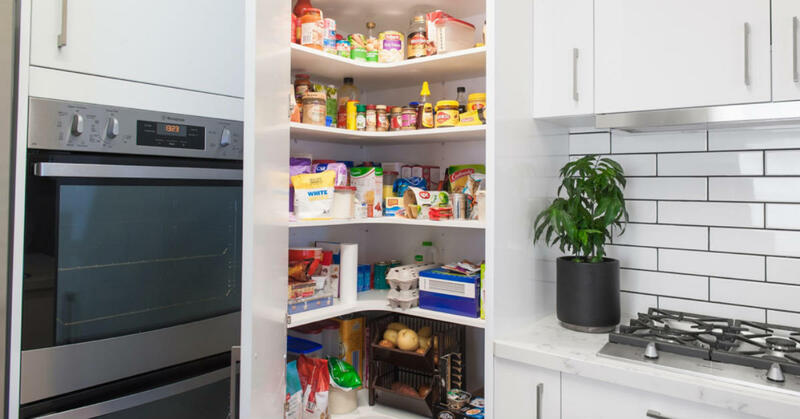 However, there are many great kitchen design innovators today who are willing to share their tips for a super organised pantry with plenty of ideas you can steal for yourself at home. Sure, the pantry is a great place to store everything out of sight, but when you think of the real essentials that you use every day while cooking, wouldn’t it make sense to keep them close? You can use a small tray, slab, or platter by the stove that has salt, pepper, oil, and common spices on it that clears up space in the pantry and gives some personality to your benchtop. In the pantry itself, you should also have a dedicated shelf or space just for the essentials. These are other oils, spices, paper towels, and other condiments that should be easy enough to reach, so you don’t have to go searching the rest of the pantry for them. Some people might like to fasten this to the pantry door so it clears up even more space, however just on an easy to reach shelf is fine, too. Some kitchens have forever changing ingredients in them, so while it might sound great to get busy with a label maker, it’s actually more functional to use blackboard or whiteboard markers with wipeable labels. This means you can see what’s in containers before opening them but can easily change them out if need be. 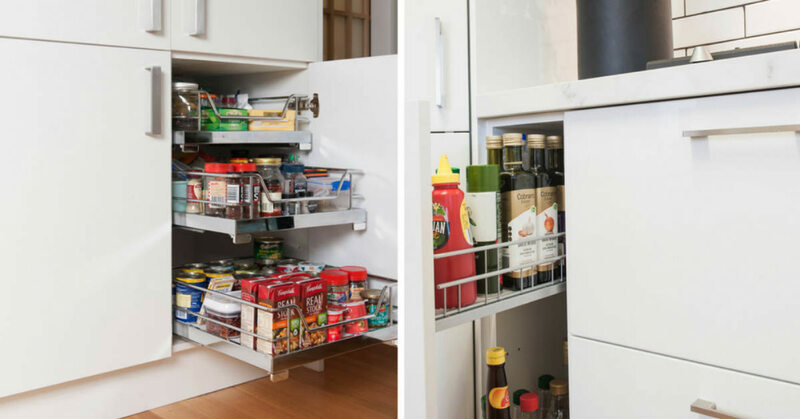 Too many people have a plain pantry that doesn’t utilise its space well, but for an organised kitchen, you need to be putting this space to work for you. Think of rotating shelves like Lazy Susans in shapes and sizes that work with your space, a spice rack, or a pull out spice and condiments drawer, , and clear bins that allow you to see what’s in them without having to rummage. For items that aren’t used as much, such as those for baking cakes or decorating, you could have project bins and group these less-used items in one place. When you’re designing a kitchen and organisation is a key priority of yours, be sure to express this to your kitchen designer. At Zesta Kitchens we have in-house experienced designers who can work with you to achieve the kitchen you’ve been wishing for and help you get the organisation you want in your pantry. If you’re after inspiration or ideas on how to achieve your dream kitchen, the team at Zesta Kitchens are here to help. Contact us today on 1300 100 555. Or if you know what finish you like and are ready for your new kitchen, then call us so we can design a kitchen for your space.